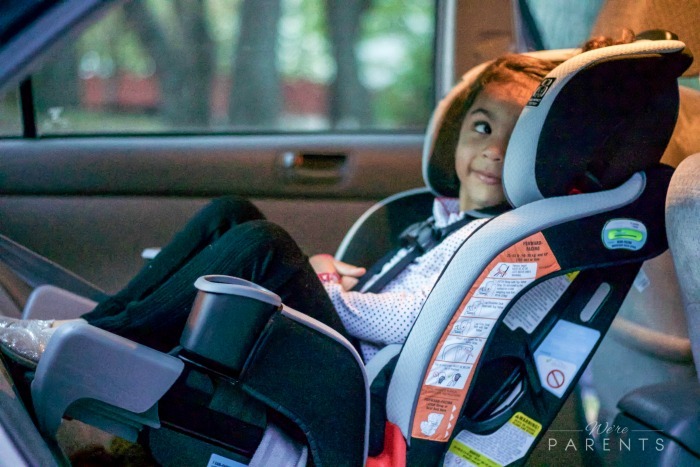 Target’s Carseat Trade-In Event is back from 4/22-5/4, 2019 and we are breaking down everything you need to know about the Target’s carseat trade-in event! The time has returned! At least once a year Target does their carseat trade-in event! And it’s coming up quickly! The next event will be held from April 22nd through May 4, 2019. Target’s Carseat Trade-In Event is one of their most beloved events for parents and there’s a good reason why! Carseats are notoriously one of the most expensive things on the market when you have a child and usually you need at least two different ones as your child grows. Plus, it’s one of the most important things that you are going to purchase. Target originally introduced this event in 2016 and since then has recycled more than 500,000 carseats which equals more than 7.4 million pounds of material. What Can I Take to Target’s Carseat Trade-In Event? Can I trade in an expired carseat at Target’s Carseat Trade-In Event? Yes! Target will take back any expired carseat at their trade in event. Carseats expire, not to force you to buy a new one, but simple because the materials can wear down over time. Most carseats have a 6-12 years expiration date on them, so they last for many years, but they do in fact expire and you definitely want to trade those in for a newer model. Will they take a damaged carseat at Target’s Carseat Trade-In Event? Yes! If your carseat has any damage, whether from a car accident, left outside, food disaster and other mishap, Target will accept them during the trade-in event. Where do I have to take my carseat for Target’s Carseat Trade-In Event? You can take the carseat that you are trading in to your local Target location (make sure they are participating here first). Once inside, there will be drop off bins located at Guest Services. 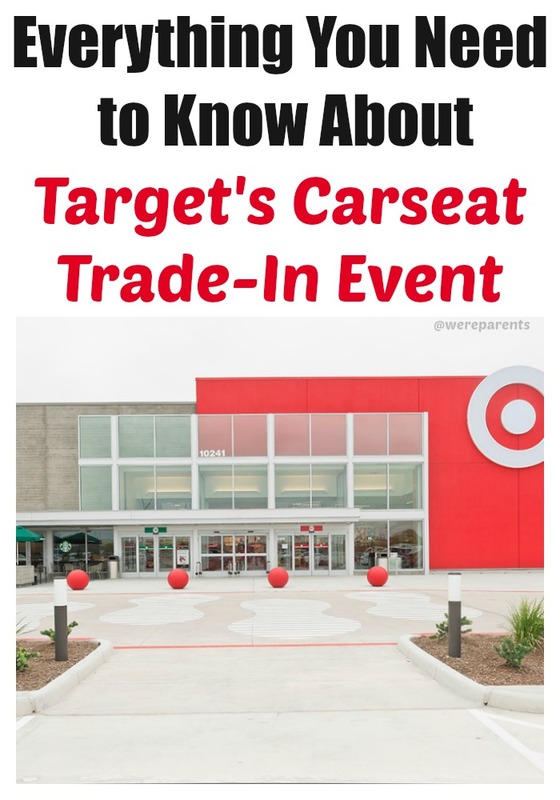 What is the benefit of trading in my old carseat at Target’s Carseat Trade-In Event? If you bring a carseat to the Target’s Carseat Trade-In Event, you will be presented with a 20% off coupon. 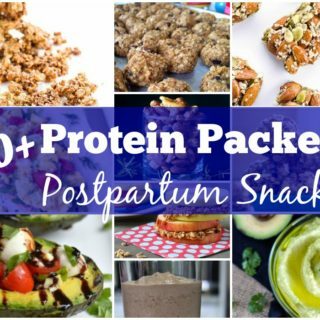 The coupon does not have to be used for a carseat only. 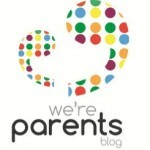 The 20% off coupon can be used for a new carseat, base, travel system, stroller or other baby home gear. According to Target’s website, baby home gear includes, high chairs, rockers and bouncers, playards, or swings. The coupon is good in combination with other sales going on in the store, such as 10% off baby items, according to Target. How long is the coupon good to use once I receive it? You are able to use the 20% off coupon immediately upon receiving it. It will expire on May 11, 2019. You are able to use the coupon online or in person. What happens to the carseats that are turned in during Target’s Carseat Trade-In Event? According to one site, all the recycled car seats taken during Target’s Carseat Trade-In Event are taken by Waste Management. They then, make carpet padding, plastic buckets, and materials like steel beams for construction from the carseats. This is much better than any curbside pickup that your local trash pick up may do because typically the seats just end up in the landfill at that time. Just because you are on a budget, doesn’t mean that you shouldn’t be able to maximize your limit for a great seat. These four carseats are all under $100 and will allow most children to rearface until 2 years old. One in four parents are using their carseats incorrectly. 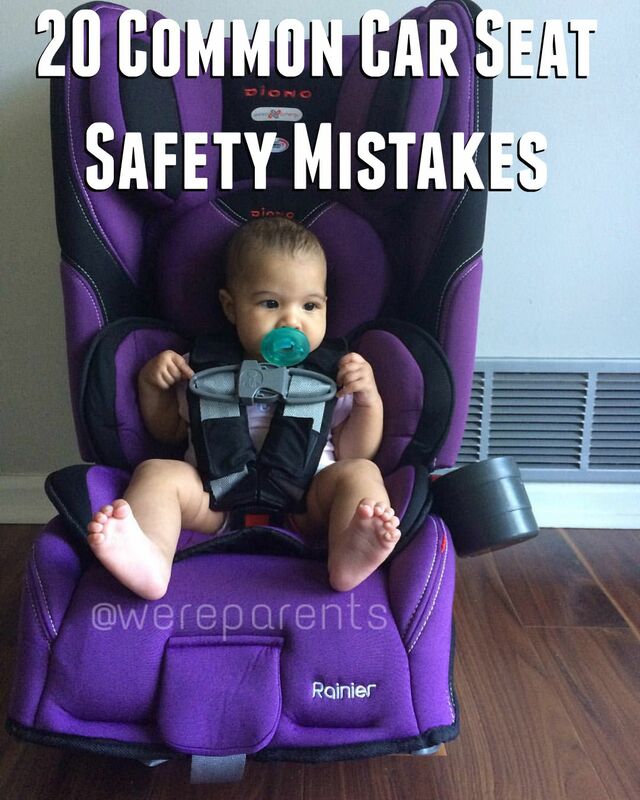 Read up on these 20 Common Car Seat safety mistakes! THE GOVERNOR OF ILLINOIS SIGNED INTO LAW NEW CAR SEAT REQUIREMENTS IN AUGUST 2018. 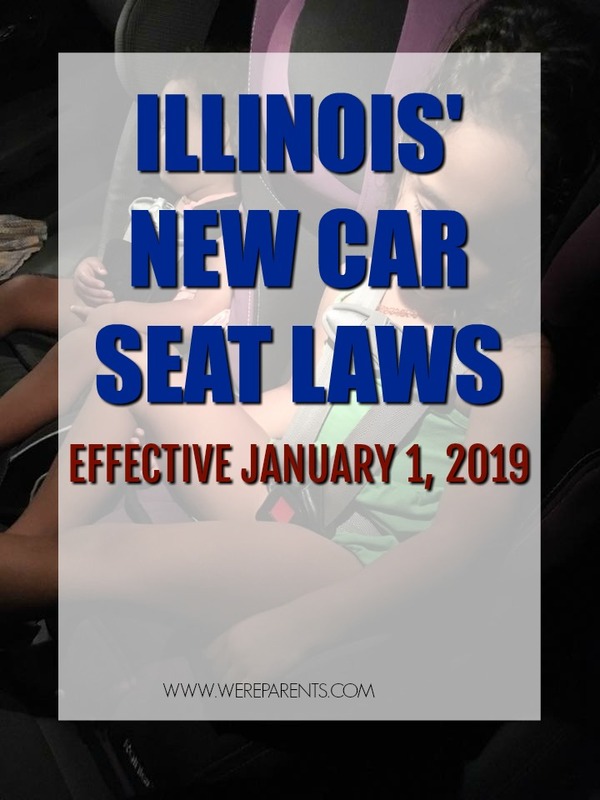 THE NEW ILLINOIS CAR SEAT LAWS TAKE EFFECT ON JANUARY 1, 2019. ILLINOIS’ NEW CAR SEAT LAWS WILL BE UPDATED TO ENSURE MAXIMUM SAFETY FOR CHILDREN. It’s important to note up front. When states change laws like this, they aren’t trying to make parents or caregivers lives harder. They are trying to put into law information that will make your family safer. The leading cause of death of children under 12 is car accidents. However, those deaths are preventable in many cases if proper car seat usage was applied always. Agencies, like the American Academy of Pediatrics, state rear facing is the safest position for your child to be in a motor vehicle for as long as possible. Specifically, children should remain rear facing until at least age 2; however, as long as the child restraint system allows is best. 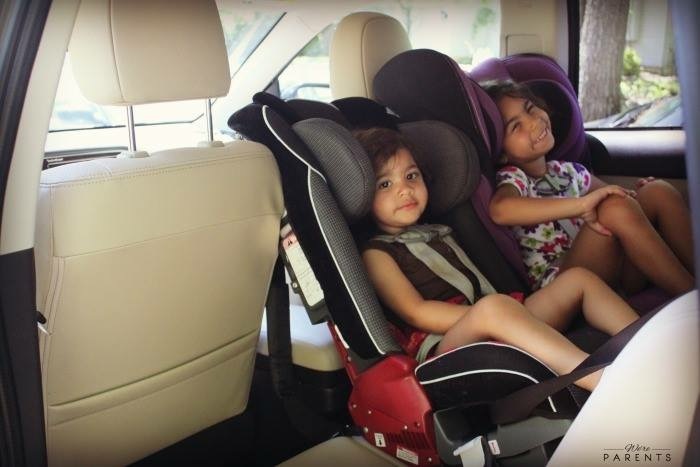 One study shows rearfacing between 12-24 months is 532% safer than forward facing. 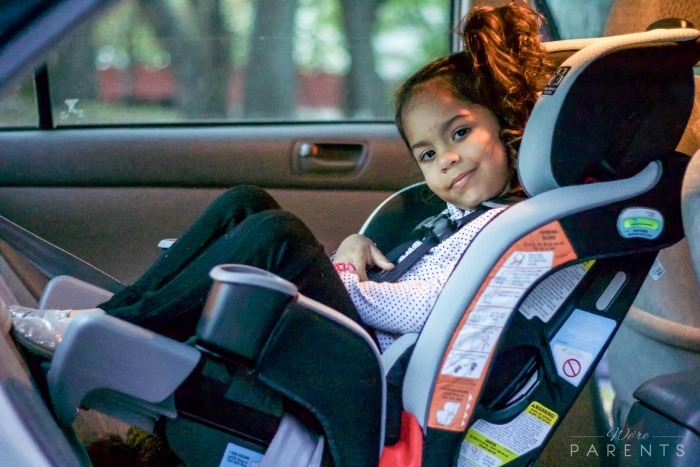 Illinois has become the newest state to pass a law making sure that more children will remain rearfacing until at least two years old. In 2018, the Illinois legislature passed House Bill 4377. This bill makes amendments to bill 625 ILCS 25/1 also known as the Child Passenger Protection Act. Then, on August 3, 2018 the bill was signed into law by Governor Rauner. The new Illinois car seat laws will go into effect come January 1, 2019. The previous Illinois car seat laws only required drivers to provide a child under the age of eight (8) with an “approved” safety seat. For the most part, Illinois Car Seat Laws largely remained the same as they have been for decades. One section of the law got changed in this newest amendment. That is section 4 of the bill 625 ILCS 25/1. When any person is transporting a child in this State who is under the age of 2 years in a motor vehicle of the first division or motor vehicle of the second division weighing 9,000 pounds or less, he or she shall be responsible for properly securing the child in a rear-facing child restraint system, unless the child weighs 40 or more pounds or is 40 or more inches tall. For purposes of this Section and Section 4b, “child restraint system” means any device which meets the standards of the United States Department of Transportation designed to restrain, seat or position children, which also includes a booster seat. Section 4 starts by clarifying that any person transporting a child under the age of 8 years old in the state of Illinois in a non-commercial motor vehicle and that vehicle has seat safety belts is responsible for putting a child in an appropriate car seat. It also states that the parent or legal guardian of that child under 8 years old is responsible for providing said car seat to any person transporting their child. Section 4 also clarifies that “child restraint system” is used to mean any device meeting the standards set into place by the United States Department of Transportation. Children under the age of two (2) MUST remain rearfacing until their second birthday.If the child reaches 40 inches OR 40lbs before their second birthday, they may be then placed in a forward-facing vehicle. What about children over the age of 8? Illinois current car seat safety laws already state that a child under 8 must be in a child restraint system. Clarifying for the new law this means a child until 2 (unless 40lbs or 40 inches) should remain rearfacing in a car seat. Children 2-8 should remain in a forward facing car seat with a 5-point harness for as long as allowed by the car seat that they purchase. 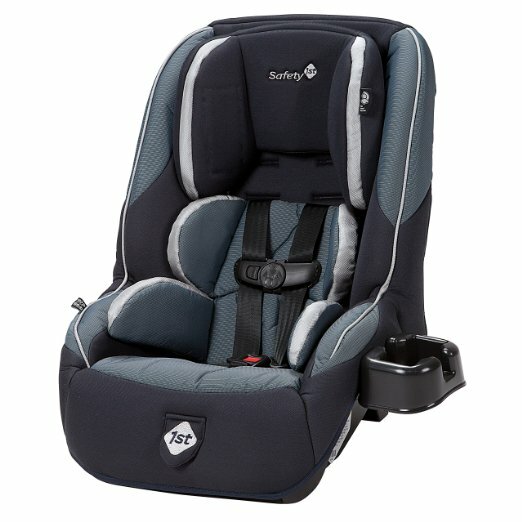 Once the child maxes out of that forward facing harness seat, a high back booster should be used with a properly secured seat belt. And then moving on to a no back booster. Learn about if your child should be in a booster or harness. Children 8-18 must be in a seat belt. There are currently no exceptions to the New Illinois car seat laws at this time. Please note that you should be striving for maximums, not minimums. Leave your child rearfacing and in secured car seats as long as you possibly can. If you are traveling to the state of Illinois you are to adhere to these laws. On first offense, violators could face a $75 fine, while second offenses could cost up to $200. Discretion is left up to authorities’ discretion. 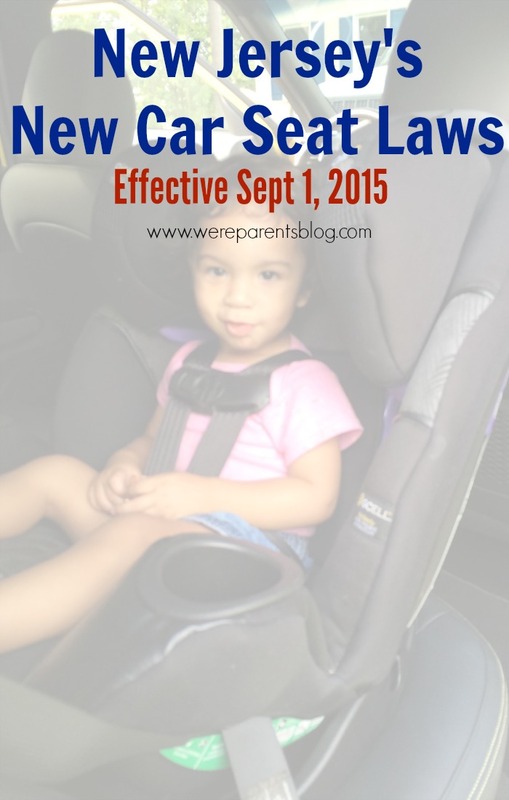 You can view the Illinois Car Seat Laws full bill here. Here’s rearfacing car seat myths busted in case you don’t think it’s possible. Child over 8 years old? See if they are really ready for a seat belt or if they should remain boostered. Disclosure: I am not a lawyer. The above information is not legal advice. The Governor of Nebraska signed into law new car seat requirements on April 4, 2018. The new car seat requirements takes effect on January 1, 2019. Nebraska’s New Car Seat Laws will be updated to ensure maximum safety for children. Multiple organizations, including the AAP have stated that rear facing is the safest and children should remain rear facing in their car seat until at least age 2. 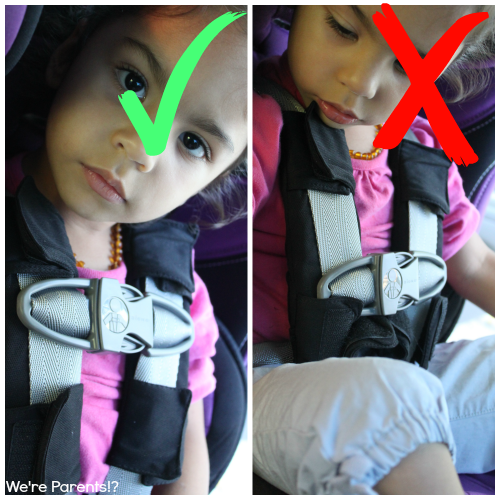 One study shows rearfacing between 12-24 months is 532% safer than forward facing. Nebraska has become the newest state to pass a law making sure that more children will remain rearfacing until at least two years old. On March 29,2018, both the House and Senate in Nebraska passed bill LB42. Then, on April 4, 2018 the bill was signed into law by the Governor Nebraska’s new car seat laws will go into effect come January 1, 2019. Nebraska’s previous child safety seat laws stated that all children under 6 years old must be in a child seat. Children 6-18 must wear seat belts. A $25 fine was in place for violations. What the new law says – Section 1- This section just clarifies terms. You can read car seat term definitions here. What the new law says – Section 2-1 – Any person in Nebraska who drives any motor vehicle which has or is required to have an occupant protection system or a three-point safety belt system shall ensure that all children up to eight years of age being transported by such vehicle (a) use a child passenger restraint system of a type which meets Federal Motor Vehicle Safety Standard 213 as developed by the National Highway Traffic Safety Administration, as such standard existed on January 1, 2009, and which is correctly installed in such vehicle and (b) occupy a seat or seats, other than a front seat, if such seat or seats are so equipped with such passenger restraint system and such seat or seats are not already occupied by a child or children under eight years of age. 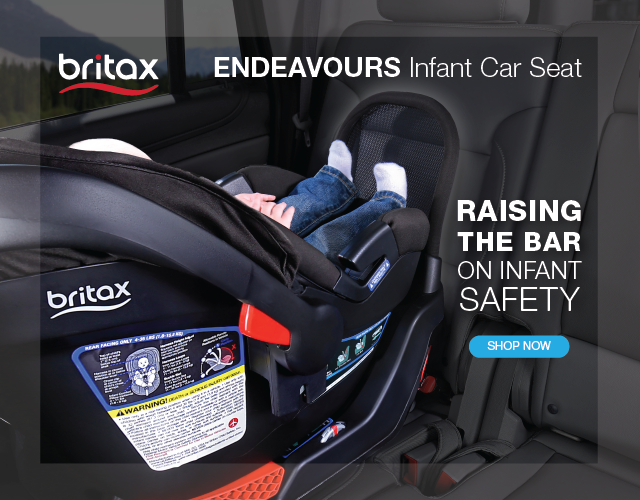 In addition, all children up to two years of age shall use a rear-facing child passenger restraint system until the child outgrows the child passenger restraint system manufacturer’s maximum allowable height or weight. Children must remain rear-facing until the age of two or they reach the maximum height or weight for their car seat. For example, if you have a car seat that has a minimum forward facing weight of 25 lbs and you have a 22lb 21 month old, you need to leave them rear facing. If you have a 26lb 18 month old, you could legally turn them around. What the new law says – Section 2-2 – Any person in Nebraska who drives any motor vehicle which has or is required to have an occupant protection system or a three-point safety belt system shall ensure that all children eight years of age and less than eighteen years of age being transported by such vehicle use an occupant protection system. If you have a passenger between eight years old and under 18 (meaning 17 years and 364 days), they must use a seatbelt. Sections 2-3, 2-4, 2-5, and 2-6 list exceptions to this new law. In layman’s terms it says that every vehicle that has seat belts must adhere to this new law. The exceptions are taxicabs, mopeds, motorcycles or vehicles manufactured before 1963 which do not have seat belts. It also excludes children who have been waived by a licensed physician because it would be harmful for their condition, but does state that the driver of such vehicle must carry a written and signed physician statement with them, identifying the child, at all times. Authorized emergency vehicles and parade vehicles are also exempted. 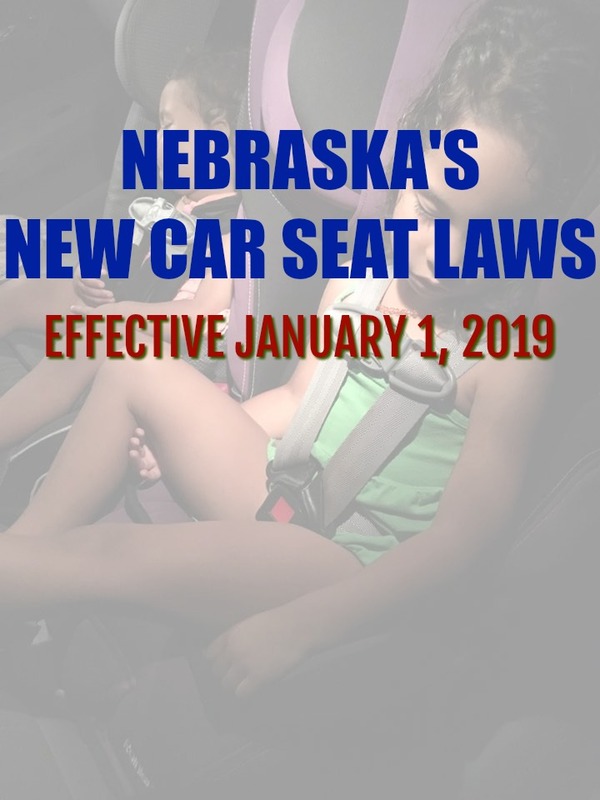 The law also states in section 2-7 also states that the Nebraska Department of Transportation must also develop and implement statewide public information and education programs in regards of how to use child passenger restraint systems and discount programs for car seats. A violation of this section may be charged on the uniform traffic summons form. If you are traveling to the state of Nebraska you are to adhere to these laws. It is unclear how much a fine would be under the new law. However, the current fine is $25, so we predict at least that amount. You can view the full bill here. The State of Virginia voted on new car seat laws on March 6, 2018. If signed into law by the governor, the law would take effect on July 1, 2019. Virginia’s New Car Seat Laws will be updated to ensure maximum safety for children. The AAP and other organizations have stated that rear facing is the safest and children should remain rear facing in their car seat until at least age 2. 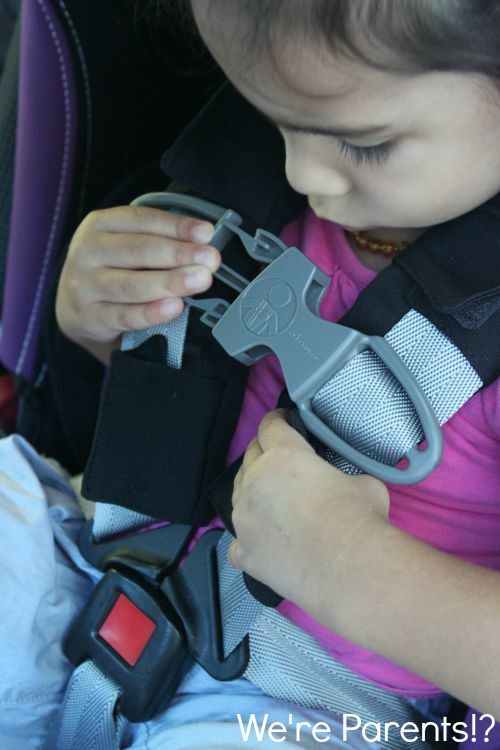 One study shows rearfacing between 12-24 months is 532% safer than forward facing. 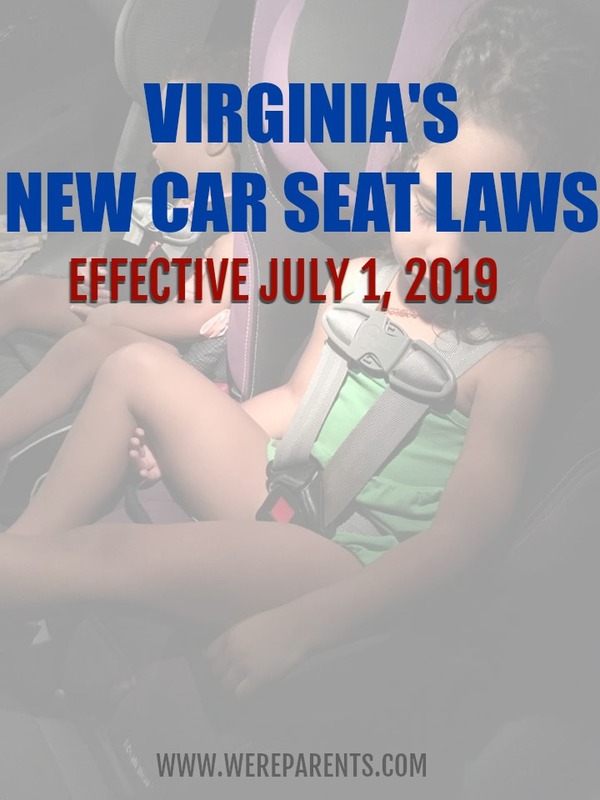 Finally, Virginia has passed a law making sure that more children will remain rearfacing until at least two years old. On March 6, 2018, both the House and Senate in Virginia passed bill HB-708. The bill is now headed to Governor Northam’s desk, where he is expected to sign the bill into law. If signed, it will go into effect come July 1, 2019. The previous law stated that all children under 7 years old must be in a child seat and in a rear seat of the car if available. Children 8-17 must wear seat belts. What the new law says – Section 1A – Any person who drives on the highways of Virginia any motor vehicle manufactured after January 1, 1968, shall ensure that any child, up to age eight, whom he transports therein is provided with and properly secured in a child restraint device of a type which meets the standards adopted by the United States Department of Transportation. Such child restraint device shall not be forward-facing until at least (i) the child reaches two years of age or (ii) the child reaches the minimum weight limit for a forward-facing child restraint device as prescribed by the manufacturer of the device. 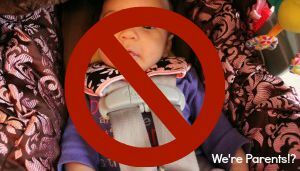 Further, child restraint devices shall be placed in the back seat of a vehicle. In the event the vehicle does not have a back seat, the child restraint device may be placed in the front passenger seat only if the vehicle is either not equipped with a passenger side airbag or the passenger side airbag has been deactivated. Children must remain rear-facing until the age of two or they reach the minimum weight for their car seat. 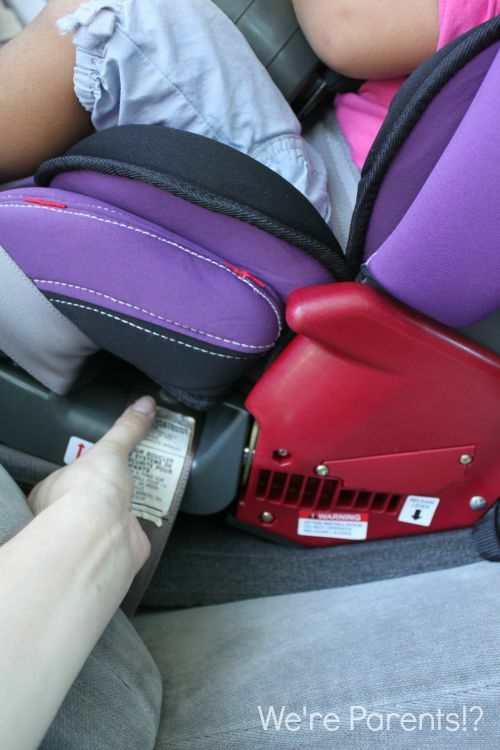 All car seat devices must be placed in the back seat of the car. If your vehicle does not have a back seat (pick up truck, older model car), you can only place the car seat in the front passenger side and the passenger airbags must be deactivated. What the new law says – Section 1B- Any person transporting another person less than 18 years old, except for those required pursuant to subsection A to be secured in a child restraint device, shall ensure that such person is provided with and properly secured by an appropriate safety belt system when driving on the highways of Virginia in any motor vehicle manufactured after January 1, 1968, equipped or required by the provisions of this title to be equipped with a safety belt system, consisting of lap belts, shoulder harnesses, combinations thereof or similar devices. If you are traveling with someone under the age of 18, they need to be secured in a car seat or safety belt system. What the new law says – Section§ 46.2-1096 – Whenever any physician licensed to practice medicine in the Commonwealth or any other state determines, through accepted medical procedures, that use of a child restraint system by a particular child would be impractical by reason of the child’s weight or height, physical unfitness, or other medical reason, the child shall be exempt from the provisions of this article. Any person transporting a child so exempted shall carry on his or her person or in the vehicle a signed written statement of the physician identifying the child so exempted and stating the grounds therefor. If for any reason, a medical professional determines that a person under the age of 18 needs to be exempt, you must carry a signed written statement with you and it must state why the passenger is exempt. Nothing in this law applies to taxicabs, school buses, executive sedans, or limousines. If you are traveling to the state of Virginia you are to adhere to these laws. It is unclear how much a fine would be under the new law. However, the current fine is $50, so we predict at least that amount. You’ve found out that you’re pregnant. YAY!!! Fast forward to going into the store to register and you’re all “Oh, crap!”. One, there’s a bajillion items in the store. How do you know what the heck to get. I remember registering with our first daughter and we were just happily walking through the aisles, scanning everything. It took me a few weeks after registering to realize that half the stuff we put on there, we didn’t even need. Then, I realized that some of the things, I really needed to think about. Fast forward to now having two children and I’m a little more versed on things. Car seats were one of the hardest selections. So. Many. Options. Seriously, why are there so many car seat options? Do we want an infant seat with a stroller? 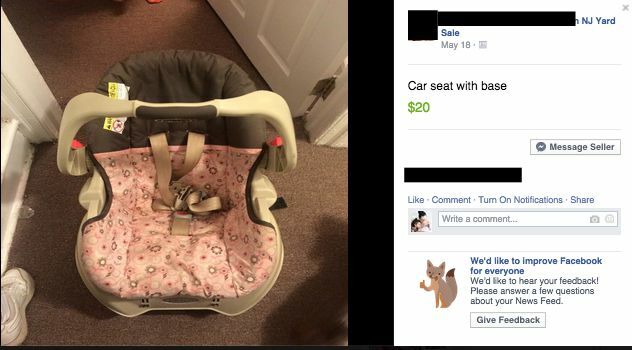 An infant seat without a stroller? Do we need an extra base? How about a convertible car seat? Do it matter which one we get? Is the $100 option as good as the $500 car seat? So. Many. Questions. Luckily, I’m here to save the day. First, it’s important to realize that every single seat on the market has been tested and approved for the current safety standards. This means that they all meet crash safety protocols. Typically, when looking at higher priced car seats, you are paying for more cushion in the seats, higher quality fabrics, or longer ability to rearface and/or use multi-mode (rearfacing, forward facing, belt positioning booster all in one). 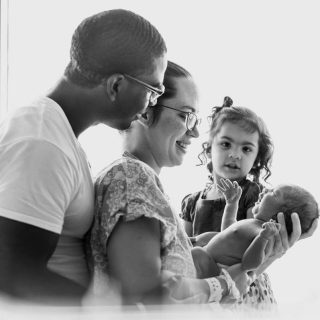 Many registries, like Target and Amazon, will give you coupons for completing your registry about a month before you put your due date. For us, we got a 15% off Target coupon to use for anything that was on our registry that someone didn’t buy. Target and Babies-R-Us both have trade-in events. They will give you a % off coupon to bring in an old seat and upgrade to a new one. The coupon usually ranges in the 20-25% off range. PLEASE NOTE: You NEVER want to personally use a used car seat. If you don’t 100% know the history of the car seat, then you shouldn’t be using it. 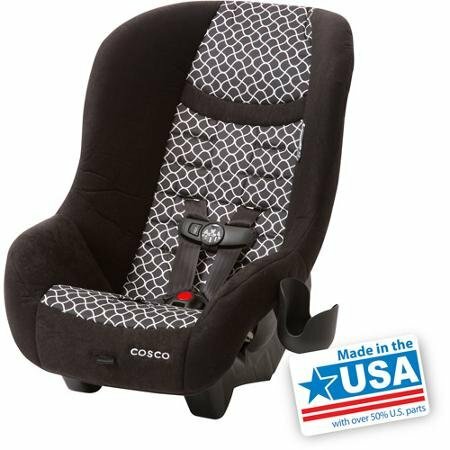 Convertible car seats cost more up front typically; however, depending on your child, it could be the only seat that they ever needed. For our first, we switched to a convertible around 6 months. With our first, she was in a convertible car seat from the day we left the hospital. We used a Boba baby carrier to get her back and forth. 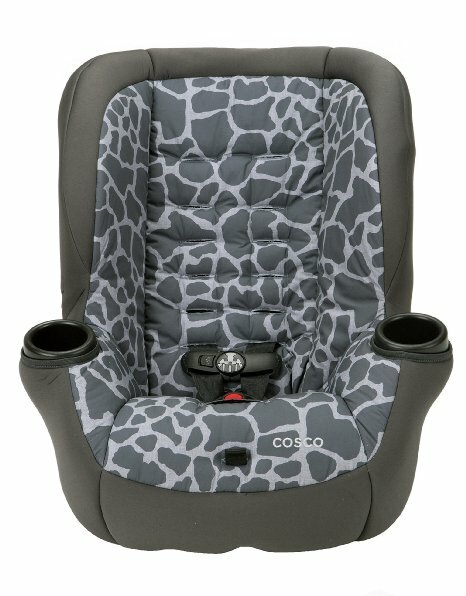 What are your Tips to Save Money on Car Seats? Leave a comment and let us know! BONUS! 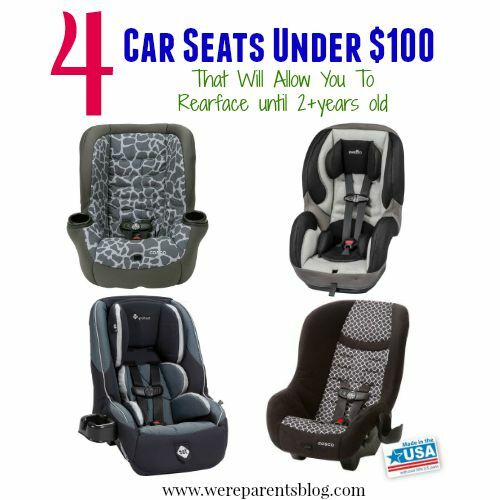 Check out our 4 car seats for under $100 post! I have to get something off my chest. With millions about to travel for the holiday weekend, this can’t wait any longer. Millions of parents are risking their child(ren)’s lives every time they start their car. Four out of five car seats are not being used properly. EIGHTY PERCENT. Car accidents are the #1 cause of death in children under 13. So why aren’t we taking better precautions? Somewhere along the road of parenthood, a critical mistake has occurred among many. Convenience has outtrumped safety. 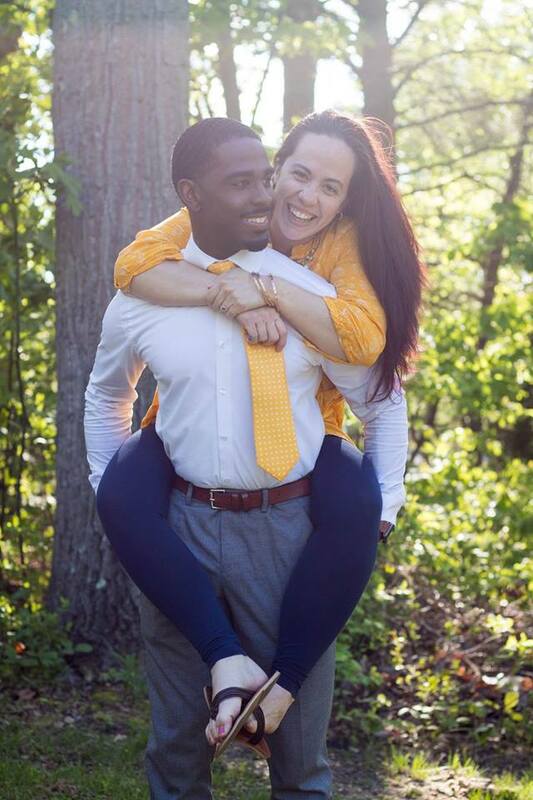 And I get it….somewhat…barely. We are in homes where both parents are working, kids are over involved in extracurriculars, there just simply isn’t enough time for everything so something has to be given up as a sacrifice. But I digress. In a world in technological overdrive like never before, safety can’t be the sacrifice for convenience. Our children’s lives can’t be the sacrifice for convenience. 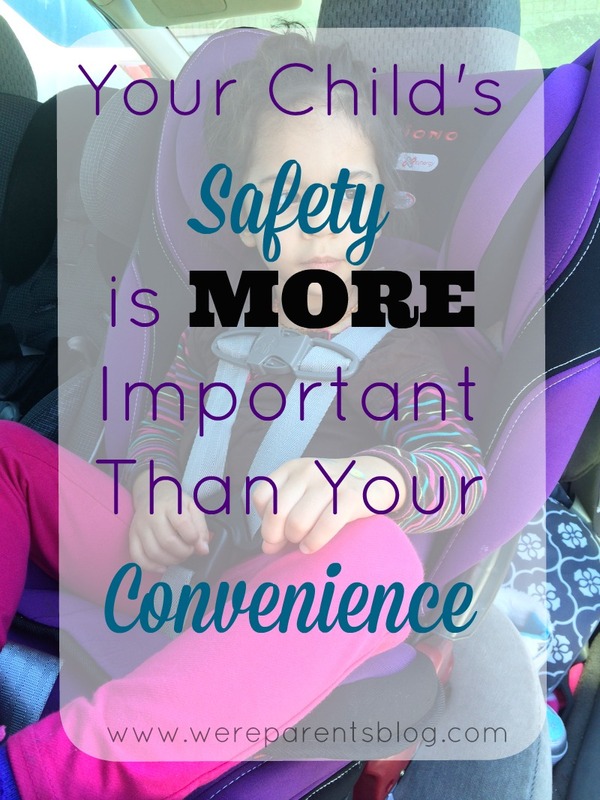 Your convenience can’t be what outshines car seat safety in the event a sacrifice has to be made. If you have spent more time on social media today, than you ever spent looking at your child’s car seat manual, you need to get your priorities straight. If you have spent more time in the drive thru line this week, than you ever spent looking at your child’s car seat manual, you need to get your priorities straight. If you have spent more time this month playing video games, than you ever spent looking at your child’s car seat manual, you need to get your priorities straight. If you have spent more time this month getting your hair or nails done, than you ever spent looking at your child’s car seat manual, you need to get your priorities straight. Even if you aren’t traveling this weekend, take a moment before your next time putting your child in the car and re-read the car seat manual. 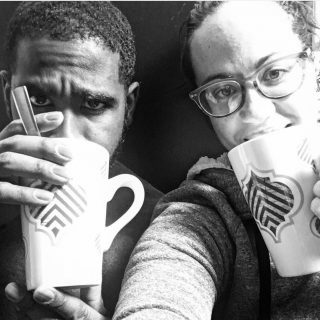 Our ….your…. child’s life depends on your getting this right. Your child doesn’t know any better. It’s your job to get this right. We barely did and even if we did, our parents weren’t adamant about making sure we were secured 100% of the time. However, a lot has changed since then. More people driving. More drivers distracted (HELLO, we didn’t have cellphones either growing up!). And most importantly, more research has been done to prove that properly secured children and simply safer. 1. Not reading your car seat manual. This document is a huge wealth of information. It explains the height and weight limits of your seat, when you can use in rearfacing, forwardfacing, or booster modes depending on your seat, and a ton of other dos and don’ts that you should be well versed in BEFORE using your seat. Each seat has it’s own set of instructions, so it’s vital that you read the manual for each seat that you use and don’t assume you can do the same things from seat to seat. 2. Not following your vehicles’ manual relating to car seats. 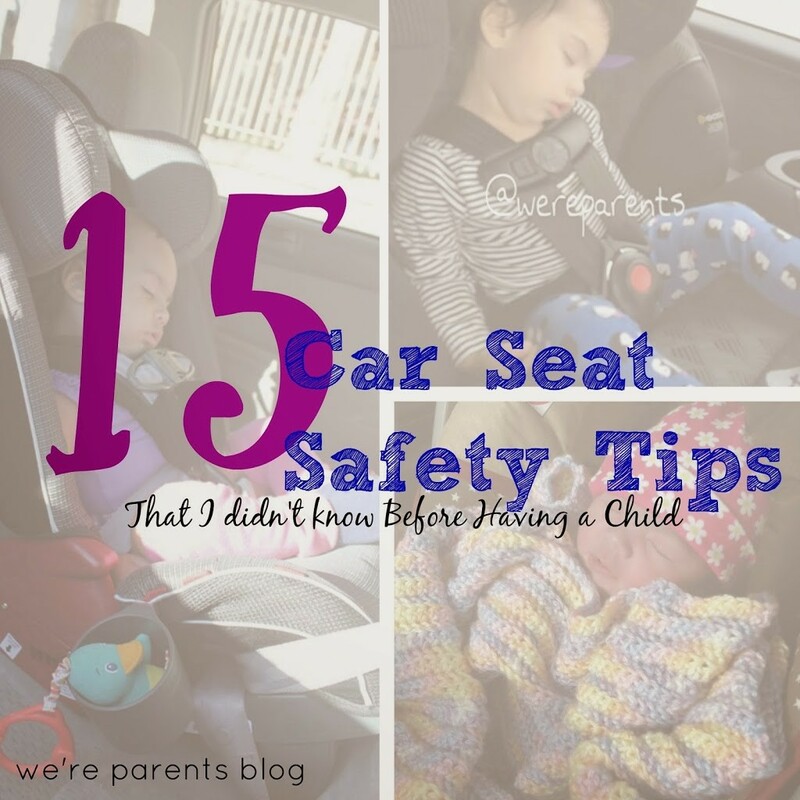 Additionally, each vehicle has it’s own set of rules when it comes to car seats. My vehicle, for example, doesn’t allow car seats to brace on the front seats of the car. There has to be at least a paper thin gap in between the car seat and front seat. Other vehicle’s may have guidelines relating to Latch or anchors, and where you can install a car seat based on the set up of the vehicle. 3. Not registering your child’s car seat. This may not seem like a huge deal, but it is. Car seats are frequently recalled for a wide range of reasons. Sometimes it’s just a piece needs changed and other times the entire car seat is not deemed safe and must immediately stop being used. It’s important that your seat is registered so that the manufacturer can quickly get in touch with you instead of hoping that you hear about the recall. 4. Not paying attention to weight and/or height limits for infant inserts and for seat modes. THIS IS A BIG ONE. Every seat is safety tested and approved for specific use. Anything outside of that use can void the warranty of the seat and make your child in a dangerous position in the event of an accident. 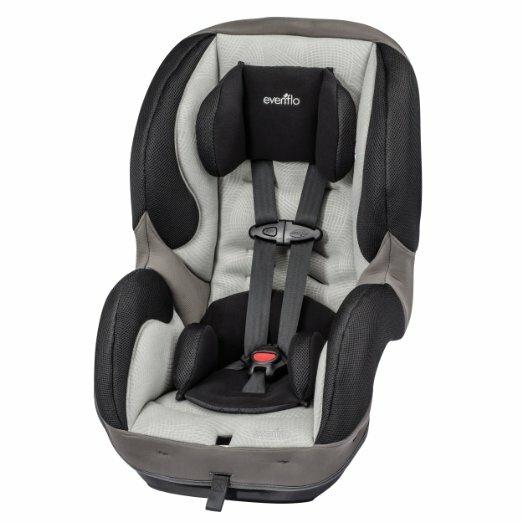 Many car seats require you to take out the infant inserts at 11lbs, while seats like the Diono Rainier allow you to use the head insert for one year and the body insert until you deem necessary to remove or turn forward facing. 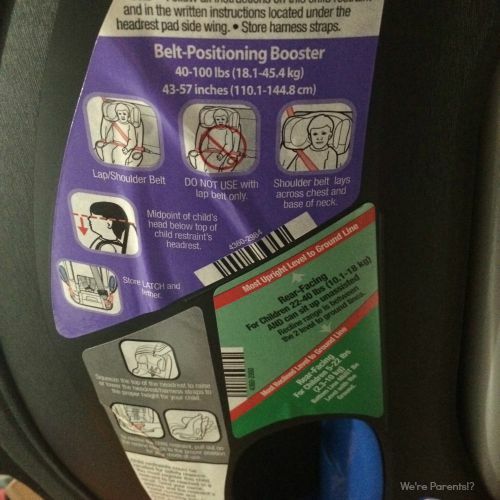 Additionally, it’s important that once your child hits the weight or height limit for their seat that they are turned around forward facing, or if forward facing already and reach the limit that they are moved to a belt positioning booster. They should be in each seat until the maximums are reached if possible. For example – Our Diono Rainier allows for a 50lb or 44″ limit for Rearfacing and Skibbles will remain rearfacing until that limit is reached. 5. Turning forward facing too soon. There are no car seats on the market that allow forward facing before one year old AND 20 pounds. 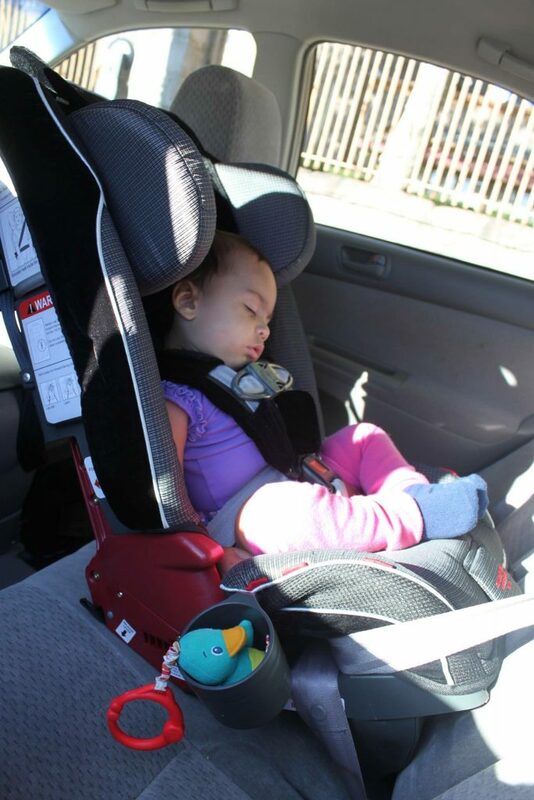 The AAP recommends remaining rearfacing for a minimum of two years old. (Here’s 7 Extended Rear Facing Myths Busted!) New Jersey has laws now requiring rearfacing for a minimum of two years. Oklahoma and California’s same law will go into effective November 2015 and 2017, respectfully. While many other states have bills in the process of being passed. Here’s 4 car seats that are under $100 that will allow you to rearface until 2 years old. Ideally, you wait until your child has reached the maximum for weight or height and then turn then, which is closer to four years old. 6. Using seats after an accident. Again, this varies depending on your car seat’s manufacturer and the accident. 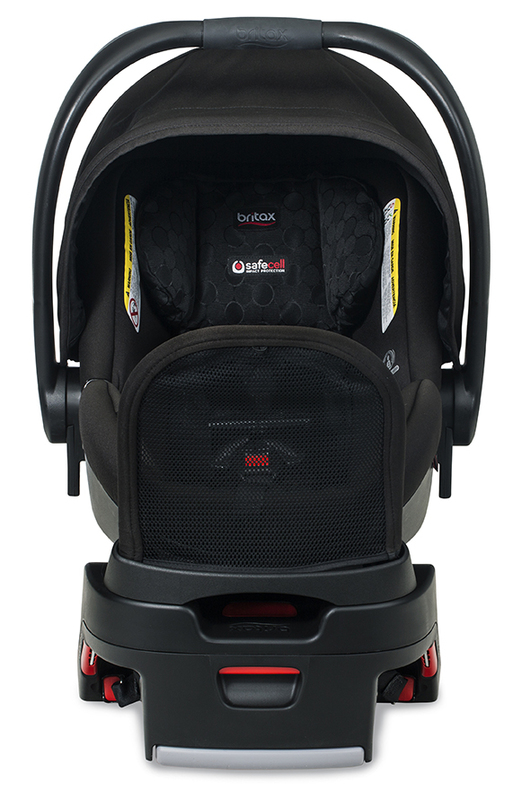 Diono, for example, is replace after any accident; whereas, a company like Britax allows minor accidents and follows a protocol that they will discuss over the phone with you to see if your seat needs replaced. The reasoning behind this is that even in a small fender bender, you are unaware if any mechanisms inside the seat have loosened or broken, making the car seat no longer safe and up to code. 7. Using non-approved after market products with the seat. Soft and cuddly shoulder strap covers. Warm fleece bunting that goes under your little one. Mats that go under your car seat to protect your vehicle’s leather. Head positioning pillows. STOP. Nothing. I repeat nothing that is not approved by the manufacture is safe or compatible with your seat. It actually voids your warranty and places your child at risk because none of these products have been safety tested with your car seat. In fact, many of the products haven’t been safety tested with any car seats. See that photo above? That’s our toddler when she was a baby. 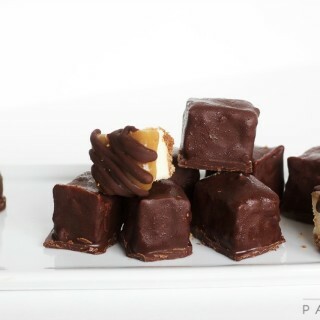 With an after market product because I thought it was pretty and I didn’t know better. I’m not writing this post to say I’m better than anyone. We live and learn from our mistakes and when we know better, we do better. 8. Not passing the pinch test. It’s simple. The harness straps should be tight enough that you are not able to grab excess material between your fingers and pinch it. If you can do this then the straps are too loose and will not protect adequately during an accident. 10. Harness straps coming from incorrect position. 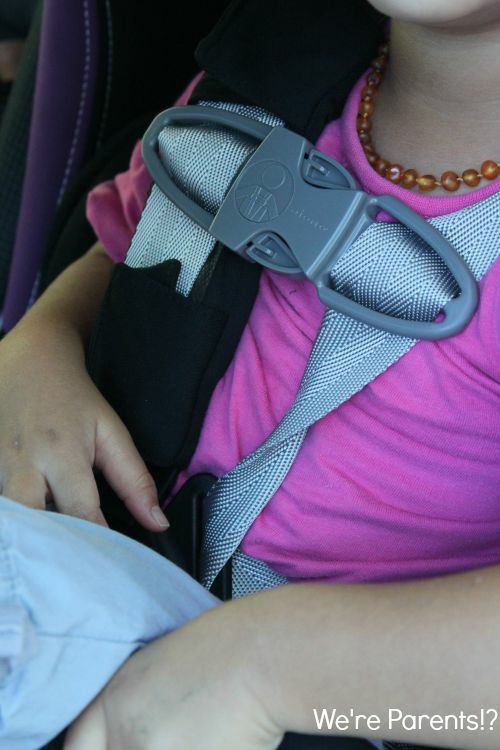 If your child is rearfacing the straps should be coming from BELOW their shoulders. If forward facing, the straps should be coming from above. 11. Testing for movement of car seat incorrectly. I see many people say they can’t get a secure fit on their seat. I was one of them for awhile. Confused that the top of the seat would move or not. You want less than 1″ movement side to side or front to back. You check this by using your NON-dominant hand and check ONLY at the belt path with as much firmness as you would use for a firm handshake. 12. Not cleaning it according to manual. You cannot use solvents, abrasive cleaners, etc., on your car seats. 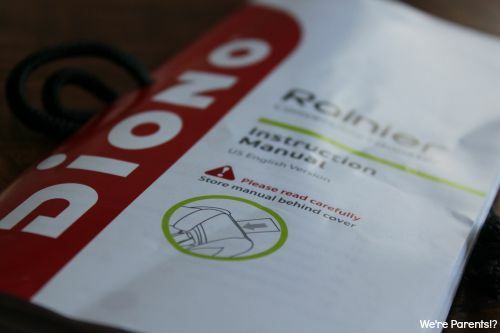 Every manufacturer is different on what is allowed so it’s important that you, again, read your manual so you know what’s allowed or not. Often you cannot submerge the parts in water and covers cannot be washed in hot water. 13. Using seat after expiration date. Yes, car seats do expire. No, it’s not so car seat manufacturers can make more money off of you. Diono seats last 8 years harnessed or 12 years using just the seat belt. That’s long enough to only need one seat the entire duration of your child’s car seat needs. Because of the extreme weather conditions inside a vehicle that a car seat is subjected too, the plastic, and other material tends to break down. Additionally, if you are constantly changing the seats in and out of different vehicles, you are putting wear and tear on the seats. 14. Bulky winter clothes. You may think I’m nuts, but no bulky coats in the car. 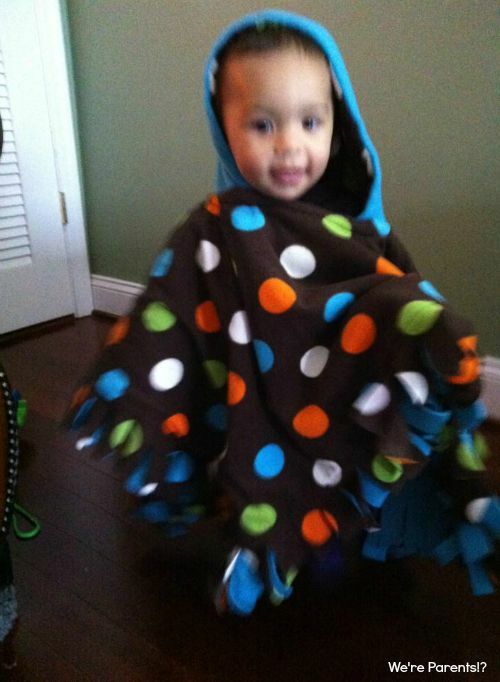 There are other ways to keep your kids warm, like the car seat poncho you see in the picture above. It goes on AFTER that child is buckled into the seat. Let’s talk about why. If you put your child in a bulky jacket, then adjust the harness straps, then remove the jacket, you will not be able to pass the pinch test. If you are in an accident, the bulky coat compresses sending your child slamming into the straps at the full force of the impact. 15. Never on top of a cart. I wish sometimes I was one of those brave people that could walk up to anyone and strike a conversation without coming off condescending and well-intentioned like I am. Unfortunately, I can’t. I see so many people in grocery stores with their children on top of the cart. NO, I repeat NO, car seats are designed to do this. Even if your car seat “clicks” into the cart, it doesn’t mean it was designed too. Actually, doing this, can ruin the clicking mechanism that makes the car seat securely fit into the base. 16. Letting someone else install your seat. This may sound silly, but I see a lot of people saying that they can’t figure out how to install their seat so they just let someone at the police station (or somewhere else) install it for them. PLEASE don’t do this. For starters, unless you’ve verified, that person at the police or fire station, while having good intentions, may not be an actual car seat safety technician. Meaning, they are not up to date on the latest information and may be giving you the wrong information about your seat. Secondly, and more importantly, if someone else installs your seat for you, you still have no idea how to properly install a seat. What happens if you need to quickly move your seat to another car or have to install it because you need to clean it because your kid got sick in the car. A properly trained car seat safety tech is taught to show YOU how to correctly install your seats, not do it for you. 17. Not placing the chest clip on the chest. Seems simple enough right? So many people are seen with the clip at the belly though. This is extremely dangerous. The top of the chest clip should be aligned at arm pit level. If at the belly, and in a serious accident, the force of the crash could cause internal injuries when the clip goes into the stomach. Additionally, if at the belly and the straps are too loose, the child could be ejected from the seat. 18. Buying a used car seat that you don’t know the history of. Sure, it sounds like a steal! You can find some amazing prices. I just looked on my local yard sale site and found an infant base and seat for just $20. That’s so much cheaper than at the store. But! STOP. You don’t know anything about the history. You don’t know if it’s been in an accident, how it’s been stored, if non-approved methods were used for cleaning, etc. It’s not worth the risk of your child’s life to safe a few bucks. 19. Not checking after letting your child buckle themselves in. 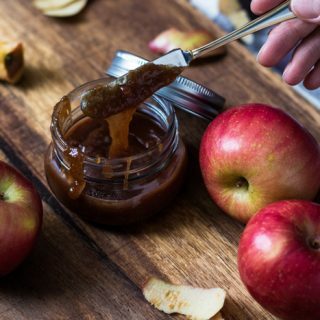 There’s going to come a time (for us it was a little over 2.5 years old) that your child is going to want to start helping buckling themselves in or do it all by themselves. This is great to help teach independence and motor skills; however, you should always double check afterwards to make sure that they did it correctly and that all pieces are where they are supposed to be. 20. Not wearing your seat belt or requiring other adults to wear theirs, especially if in the back seat. Everyone should be wearing a seat belt, simply to protect everyone in the car; however, it’s more important than just that. Everything that is not secured in the car can become a projectile that is magnified depending on the speed the vehicle is going at the time of the crash. Did you know that a 120lb adult if not secured in a 15mph accident becomes an 1,800 pound force against whatever it hits. If the adult is in the backseat and gets thrown up and over onto a child, that’s 1800 pounds coming down on a child. 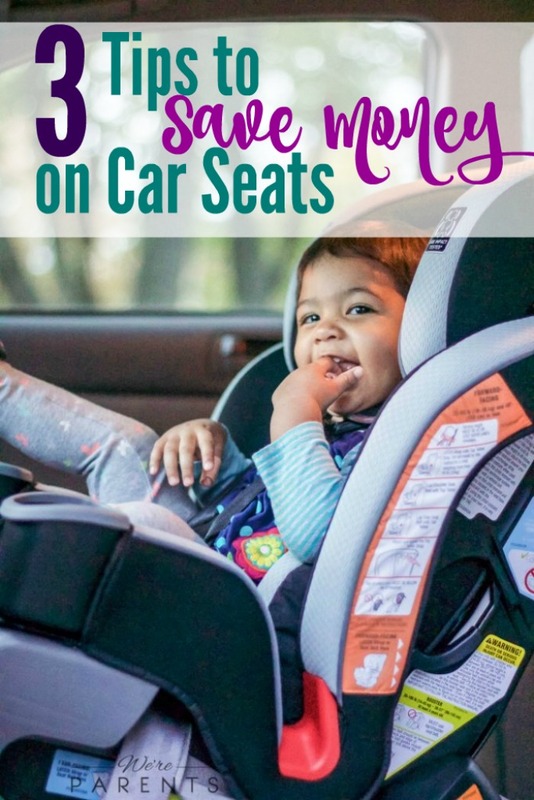 While this isn’t an all-inclusive list of all mistakes that we could be making with our car seats it is a great list to make sure you are following. All our children have the right to be protected and secured since they can’t advocate for themselves. Please, if you see someone (including me) making a car seat mistake, gently speak up for the child. *Every 33 seconds according to a 2013 NHTSA report. Earlier this month, New Jersey became the first state to enact a law (see new law here) requiring all children under the age of 2 years old to remaining rear-facing. I saw many people concerned that they already had their under 2 year old forward facing and they couldn’t afford a new seat. With a $75 fine in place if pulled over and your child is not rear facing and under 2, I decided to put together this compilation of seats to pick from that are under $100. These seats will likely get your child to rear facing until 2, possibly even longer. The New Jersey law states that children should rearface for a minimum of 2 years, and then until they reach the weight and/or height limits of their seat. There’s also no need to worry about the price being so low on some of these. All seats in the United States must pass the same testing, so there’s no truth to one car seat being safer than another. This seat is amazingly affordable at just $45 at Walmart.com! or $58 via Amazon. It rearfaces until 40lbs or 40″ (whichever comes first). The downside to this seat is that it maxes out at 40lbs for both rear and forward facing, so you will have to purchase a new seat for forward facing. 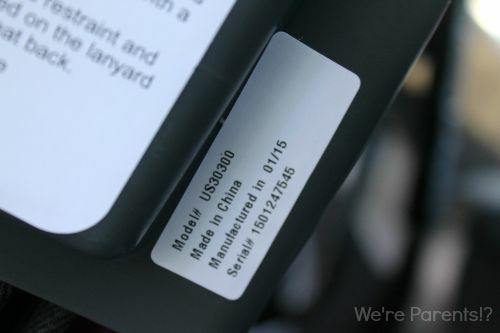 While we don’t go into details beyond height and weight in this particular post, it’s important to make sure that the seat is compatible with the car that you will be installing it in while using. For this, we recommend joining Car Seats For the Littles Group on Facebook to speak with Certified Car Seat Techs. The AAP has stated that rear facing is the safest and children should remain rear facing in their car seat until at least age 2 and one study shows rearfacing between 12-24 months is 532% safer than forward facing. Finally, New Jersey has passed a law making sure that more children will remain rearfacing until at least two years old. On March 16, 2015, both Houses in New Jersey passed bill A-3161 and on May 7, 2015, Governor Chris Christie, signed the bill into law that will go into effect come September 1, 2015. 2 years and under – What the new law says – A child under the age of two years and weighing less than 30 pounds shall be secured in a rear facing child passenger restraint system, which is equipped with a five-point harness. What this means – If you have a child two years old or younger who weighs less than 30 lbs must remain rear facing in a 5 point harness. Once your child is either 2 years old (or older) or weighs 30lbs, they may be turned forward facing, though rear facing will still be the safest for them. What this means- From ages 3-4 and less than 40lbs should remain rear facing in a five point harness until they outgrow the maximum height/weight requirements of their specific seat. Once they outgrow the maximum requirements for rear facing then they can be turned forward facing, but must remain in a 5 point harness or they can be forward facing, but must stay in a five-point harness. Ultimately, safety should be the top concern and rear facing as long as possible. 8 years and under – What the new law says –. A child under the age of eight years and less than 57 inches in height shall be secured: (1) in a forward facing child passenger restraint system which is equipped with a five-point harness, until the child outgrows the top height or top weight recommendations made by the manufacturer of the child passenger restraint system, at which point the child shall be secured in a rear seat, in a booster seat; or (2) in a booster seat. What this means- From ages 5-8 years old AND under 57 inches a child should remain in a five point harness until they outgrow the maximum height/weight requirements of their specific seat. Once they outgrow the maximum requirements for a 5 point harness they can be turned secured in a booster seat. What new law says about vehicles with no rear seat – If there are no rear seats, the child shall be secured in a child passenger restraint system or booster seat [, as described in Federal Motor Vehicle Safety Standard Number 213] in a front seat of a motor vehicle except that no child shall be secured in a rear facing child passenger restraint system in a front seat of any motor vehicle which is equipped with a passenger-side airbag that is not disabled or turned off. What this means – If you drive a vehicle, such as a pick up truck, that does not have a rear seat you should follow the above new laws the same way, EXCEPT in the event that the passenger side airbag MUST be disabled or turned off. If you cannot disable or turn off, then the child cannot ride in the vehicle. 4 years and younger AND under 40lbs – Must remain in a 5 point harness. Should remain rear facing until the maximum seat requirements of their car seat is met and can then turn forward facing. 8 years and younger AND under 57 inches should remain in a 5 point harness until the maximum seat requirements of their car seat is met and can then they can move to a booster.